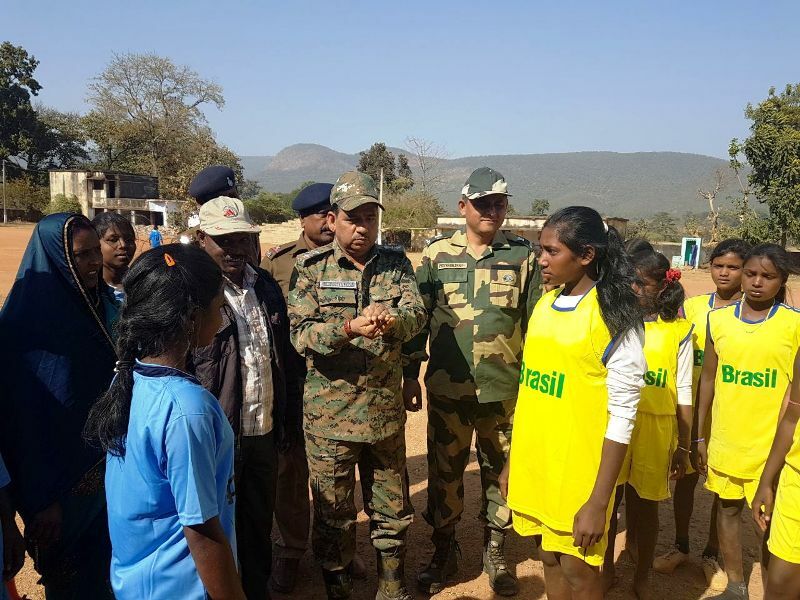 Control of Naxal menance. Prevention & detection of Crime including updation criminal records. Pro people Policing through community policing, medical camp and Janta Darbar. Disposal of pending cases for investigation steps to protect weaker Sections including dalit, backward classes, women and children by close monitoring of cases specially related with sc/st, women and weaker section. 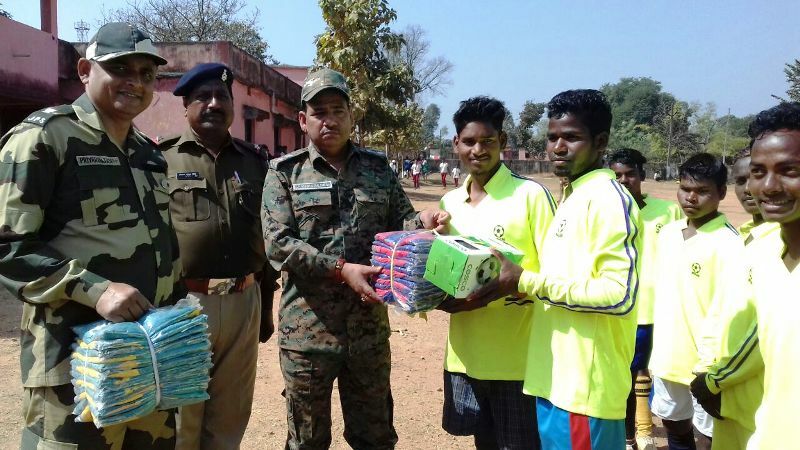 Saraikella-Kharsawan district was bifurcated from west singhbhum (Chaibasa) district on 01-04-2001 consisting of two subdivisions Seraikella and Chandil. 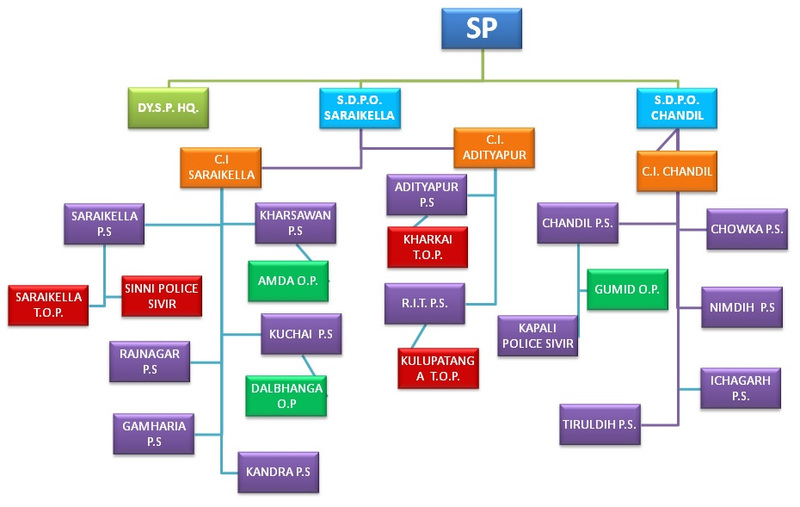 This district has got Seven blocks, Three Police Anchal and Ten Police Stations at organization level. There is one Dy. S.P. (Hq.) besides two subdivisional police officers at Seraikella and Chandil. This district is adjacent to Jamshedpur and in Adityapur and Chandil area Hundreds of small and big Industries have been established and running very smoothly. Language and Culture :- Different languages are being used in different areas of this district like Oriya, Bengali, Hindi, Mundari, Kuduk, Santhali and other local tribe languages. Chou Nritya of Seraikella-Kharsawan is very Popular and this has been admired not only this district but at the National and International stages. Population :- Nearly – 8,48,850 (Eight Lacs fourty eight thousand eight hundred fifty) population has been assessed by the census department. Among tribes Santhal’s, Munda’s, Ho, Oraon and other tribe casts resides here beside OBC’s like Mahato’s, Pramanik etc. Political Glimps :- Though this district consists less population and area but it touches at represents three parliamentary segments Khunti, Chaibasa and Ranchi beside three assembly segments Ichagarh, Seraikella and Kharsawan At present Khunti, Chaibasa and Ranchi parliamentary segments are being represented by Sri Kariya Munda, Sri Madhu Koda and Sri Subodh Kant Sahay respectably. Kharsawan, Ichagarh and Seraikella assembly segments are being represented by Sri Arjun Munda, Presently Chief Minister of Jharkhand, Sri Arbind Singh and Sri Champai Soren a minister in Jharkhand Government. Rail Route :- This district is connected with very important rail routes like Howrah-Mumbai and Howrah-Delhi. Sinni under Seraikella Police Station is very important and well known for Railway Staff Training Centre and A Railway Workshop. Adityapur, Gamharia, Sinni, Rajkhasawan, Kandra and Chandil are some of important Railway Station in this district. Roads :- Seraikella-Kharsawan district is covered by two important National Highways. NH-33 connects Ranchi and Jamshedpur and this road is also known as life line of Jharkhand. NH-32 connects Chandil to Dhanbad and Bokaro and it passes through Purulia (W.B.). A number of State Highways fall under this district. In this pretext Tata-Chaibasa, Adityapur-Seraikella-Chaibasa and Chowka- Seraikella are important State Highways in this districts. A new State Highway is being constructed from Seraikella to Ranchi Via Kuchai. Which will enable Seraikella people to travel to Ranchi in a short time and distance. Attractive Places of tourist :- Seraikella-Kharsawan districts is well made by the nature and here there are lots of hills, forests, fountains, dams are available for the tourists. Dalma and Sanjay hills are very popular and thousands of tourists visit here. Chandil and Palna dam are very big and attractive dams and are well known among the local and out station tourists. Akarsini Mandir at Kharsawan, Jyoda Mandir at Chandil and Kali Mandir at Pardih near Jamshedpur are well known religious places in this district. Nimdih, Chandil, Chowka, Ichagarh, Tiruldih, Kharsawan & Kuchai PS’s of Seeraikella-Kharsawan distt are naxal affected. During 2001-2010 total no of 54 naxal cases have been reported in this district among them 21 cases were instituted in the year 2010. A large number of naxalites have been arrested during this period, illegal arms, explosives and many other things have been recovered from them. 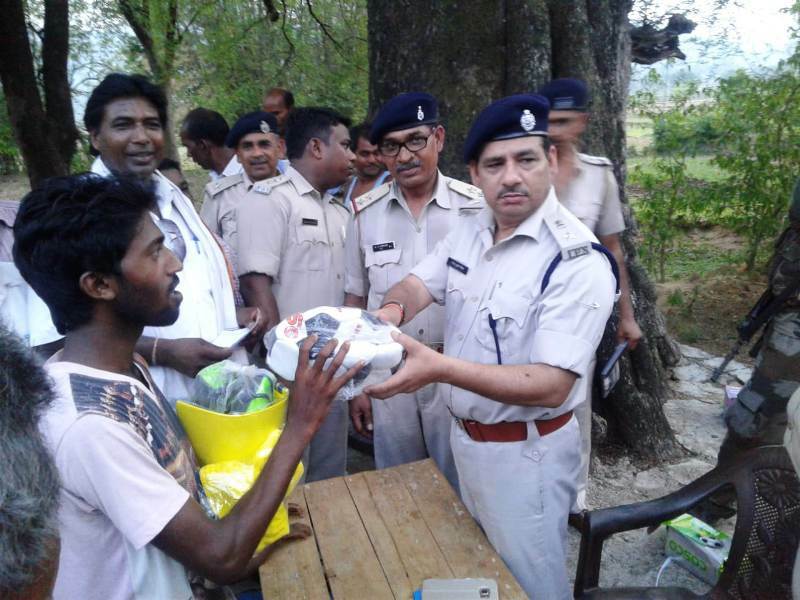 People of Seraikella-Kharsawan districts are being friendly with the police by the action taken from the police force & CRPF. 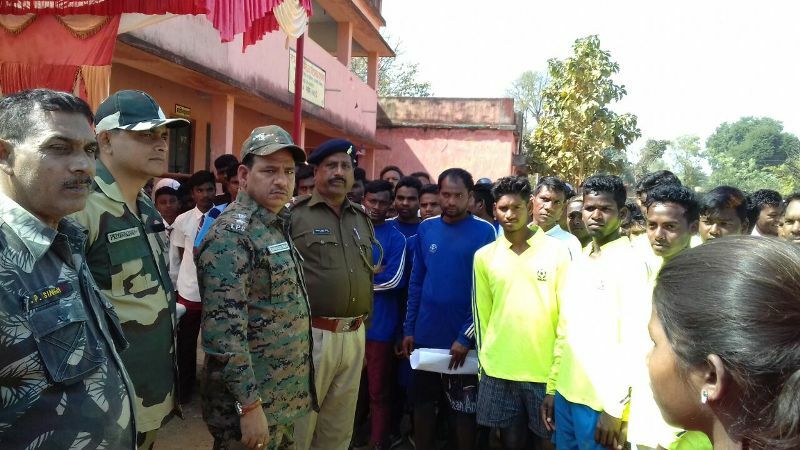 Many naxalites have surrendered in boardering district Ranchi due to the press me created against them. Now the people are assembling against the naxalites which will enable us to create peaceful environment. 14 Gamhariya PS Case NO.-62/14, Dt- 18-08-14 u/s 379 IPC. -- -- -- -- -- 583 pice kasting brkes. 18 Kuchai-18/14,Dt-18/09/14,U/S-17 CLA Act. Bhuneshwar Singh Munda -- -- -- -- Naxal Pamplate with Lava Mobile with sim No 9393636905. 2 Gamhariya ps case no. 14/13. dt. 18-01-13,u/s- 392 IPC 1. Md. Ajad -- -- -- -- Chatra sadar thana se track ka maal baramad. 3. Ramesh kingh sardar -- -- -- -- LCD TV SAARI. 2. lal babu -- -- -- -- Silling fan, Hot pot. 42 Adityapur PS case no.-262/13,Dt-30.10.13,U/S-467/468/471/120(B) 25(1-B)A/26/35 Arms Act. 1. 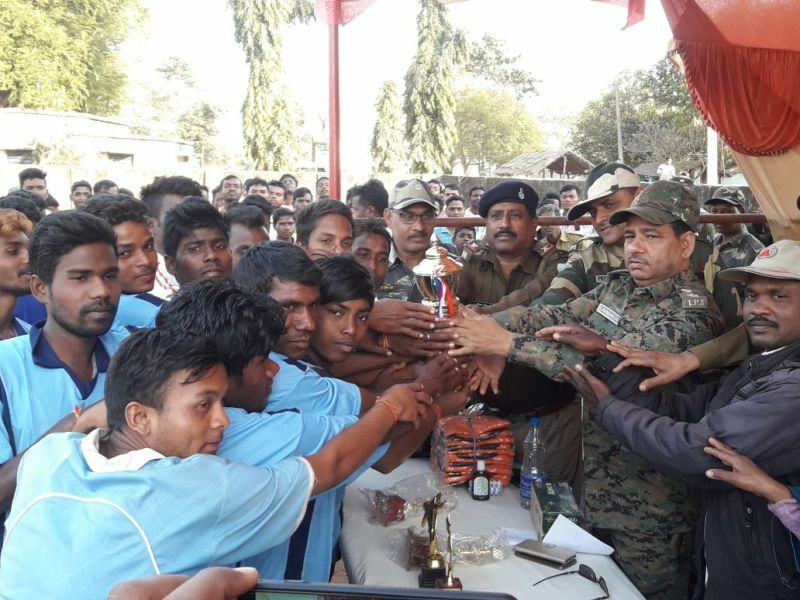 Dablu Sharma(Arjun Sharma), Aahyari, PS-Khutwa,Arungabad Bihar. 6 Gamhariya PS case no. 24/12, dt. 16-03-12, u/s- 379 IPC. -- -- -- -- -- motor cycle no. jh-05n-0448. 02 Buster high Expolsive Dangerous cloth Medecine. Fanta company with black shoes, Titen chain hand watch. 05 ka 15 liter gailen. 16 Kharsawan PS case no. 41/12, dt. 21-06-12, 25(1-)a/26/35. Arms act. -- -- -- 02 Pistol, 01 katta, 01 magzin with 16 Rifle. -- Bolero no. jh-05j-1392. 21 Chowka ps Case no.37/12, dt.17-07-12, u/s.- 4/5 explosive act, 17 CAL Act. -- -- -- Indian Explosive ltd. gomia rad wire sil pack detonator 02p, 40p emul boost id high explosive -- with mobile no. 7870475552 5.300 rupees. 22 Kharsawan ps Case no.- 51/12, dt.-23-07-12, u/s.- 17 CAL Act. -- -- -- -- -- Red cloth 30-32p with naxal book. 27 Saraikella ps case no. 74/12, dt. 28-09-12, u/s-399/402/414 IPC, 25(1-)a/26/35 Arms Act. . -- 24 3 -- -- 03 Bike jh-05ff-5580, jh6e-2449 JH6E6840 with 04 mobile set. 31 Chowka ps case no. 56/12, 28-10-12, 4/5 explosive act , 17 CAL Act. -- -- -- white bijli ka taar with 40 detoner lagar hua, 01 black 12 bolt ka battry jisme English me chloride safe powder likha hua jisme karib 15 miter lamba yellow aur green rang ka taar -- White Plastic bag with 35 pant shirt Black colour Naxal cloth white bag 03 mobile, red mobile g5- intex, black mohick mobile without sim, 03 mobile charger, saath me charger, 01 kala evd jiske andar me English me dh dvd jisme chager aur Samsung company dobble sim mobile no. 9693659226. 38 Ichagarh ps case no. 36/12, dt. 18-11-12, u/s-212/34 IPC , 13/19 UAP Act 1967, 4/5 explosive Act. 17 CLA Act. -- -- -- -- -- 01 Nokia mobile no. 9608239217, 5000 rupees, 01 dual sim mobile no. 8051152199, black naxla cloth 60m , detol sabun 30p sarf exal sabun 30, exal pouder 144p baga dhaga 50p puser motorcycle jh05-3749, almira me rakha 01 nokia ka dual sim. 3. Mangal paat pingua -- -- -- -- Motar bike, mobile, mobile charger CFL bolb. 2. Shivnaryan Mandal -- -- -- -- Gold Ring, ear ring with tops. 37 Chandil PS case no.-291/11, dt. 25-11-11, u/s-379 IPC -- -- -- -- -- Track no. BR-13B-9381. Kuchai-18/14,Dt-18/09/14,U/S-17 CLA Act. Bhuneshwar Singh Munda -- -- -- -- Naxal Pamplate with Lava Mobile with sim No 9393636905. 5.Taraknath Kaiwart 01 01 -- 02 Air Rifle Plat 10 Pcs. 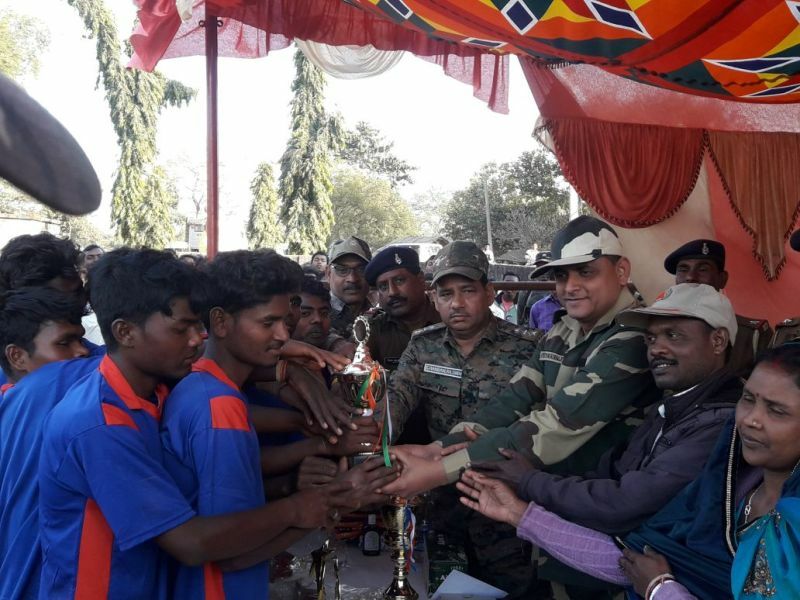 During the year 2010, there are so many social works have been performed by the District police personnels to creat, cordial relationship in between the police and Public and also to stop the naxalite activities situation following social works have been done. That on dated 3-2-2010 under the Nimdih P.S. in village Samanpur, on dated 23-2-2010 under Chowka P.S. in Village Gutiuli, on dated 16-3-2010 under Chawka P.S. in Mouza Bansa and on 17-3-2010 under Chandil P.S. 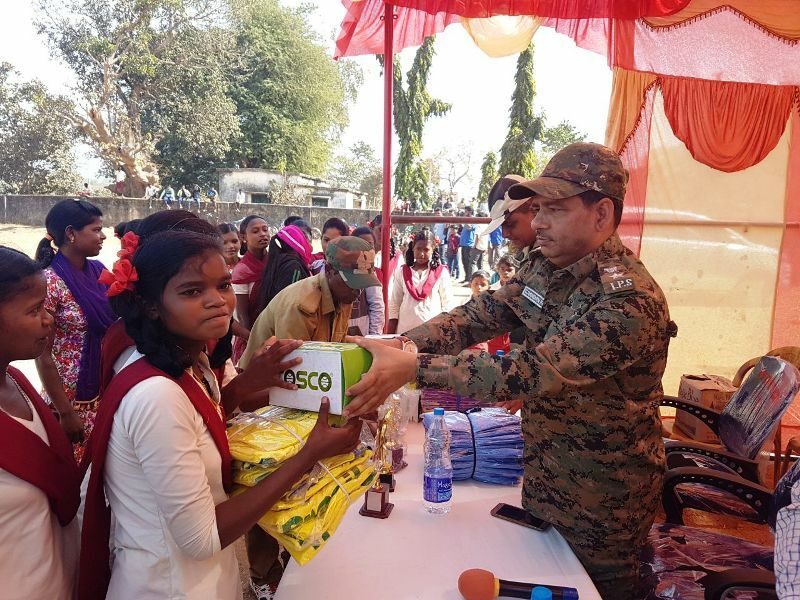 in mouza Kathjor and Kadamjor social meetings were organised and some articles like Dhotis, Saree, Lungee, Gamchha, Kambal and Furniture, utensils etc, were distributed among the public and also for the students bags, copies, pencils, Rubbers, pens etc were distributed among the students. That on 10-3-2010 under Kharsawan P.S. in village Hurangda on dated 11-3-2010 under Kuchai P.S. in Village Dalbhangs, on dated 12-3-2010 under Kuchai P.S. in Village Chhota Bandi on dated 13-3-2010 under Nimdih P.S. in Village Chaliama & Ketunga and on dated 14-3-2010 under Ichagarh P.S. in Village Deotand and on 16-3-2010 under Chowka P.S. in Mouza Bansha and lastly on 17-3-2010 under Chandil P.S. in Village Kathjor with the help of Anupam Kala Manch, Chaibasa Road Show (Nukkad Natak) were also organised to assemble the people in right way and to creat the situation against the Naxal activities and some medical camps also were organised by the district police officials and the good effects of such efforts can be looked into amongs the people. That on 12-6-2010 under the Tiruldih P.S. in Village Ichadih a Janta Darbar was organised by myself and the problems of villagers were asked and tgried to remove the problems stated by the people and necessary directions were also given to the police officers who were present to disburse the public grievances at first priority basis about five hundred people were assembled there, Besides these activities, some social articles like Sarees, Dhotis, Lungis, Gamchas, Utensils, Furniture etc. were distributed among the people. It is important to mention here that during the course of Assembly Election, while returning after the counting process on 23-12-2009, in village Bara Lapang under Tiruldih P.S. some some anti social elements kill four people out of which three persons belonging to village Ichadih and for the creation of safety among the villagers, a Janta Darbar was organised/held under which a Nagarik Suraksha Samittee was formed to give night watch at night and accordingly a situation has been created against the anti social elements and for the better performance of the Nagarik Suraksha Samittee, Tourch, Lathi, Shoes, Chappals, Whistle etc. were distributed among the members and due to these activities there are positive results can be seen in the mind of the villagers. Under Chowka P.S Blanket Sarees, Dhotis, Muffler, Solar Lamp, Carpet, Torch-Battery, Dholak, Jhal, Kartal etc. were distributed on date 28-02-11 in Asangibera, on dated 02-03-11 in Gitilbera & Hathikocha & on dated 25-03-11 in Kadlakocha. Two Teams were made there. 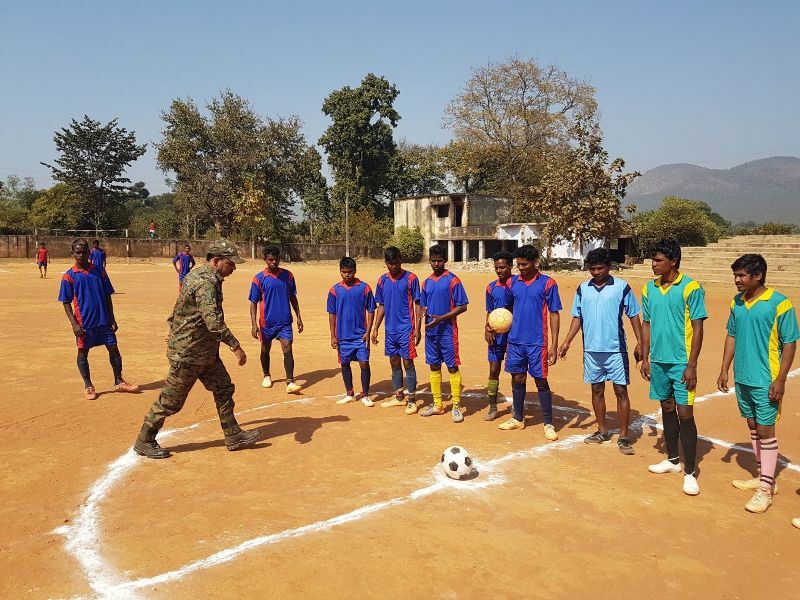 One Team consisted of 15 student of Lapaibera & 32 Student of Middle school Gutiuli & Other Team Consisted of Student of Hathikocha Middle school & Gitilbera Middle School. Both teams (First &Second Team) visited Jamshedpur Jubily Park , M.G.M. Hospital, Bistupur Market, Tata Steel, Tata Steel Zoo extra on 04-03-11 and 11-03-11 respectively. They took lunch and Breakfast there. 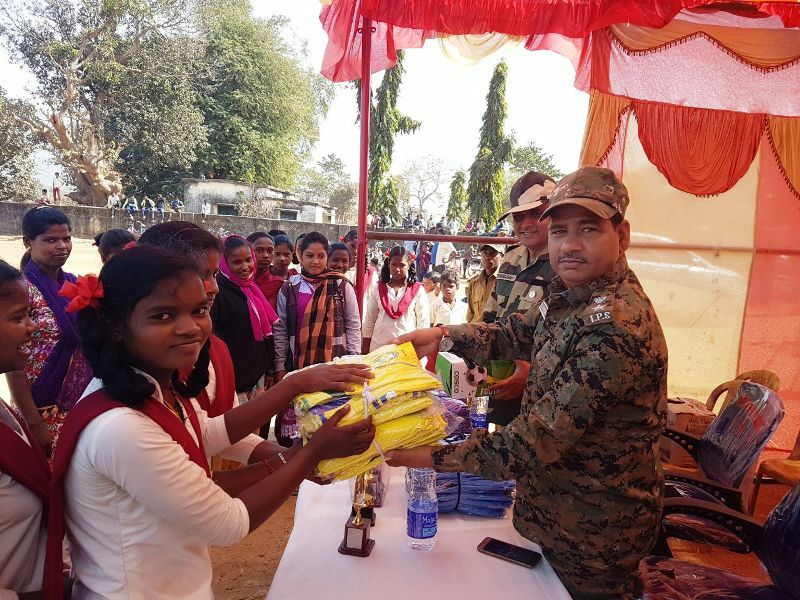 In presence of D.I.G Singhbum (Kolhan), School Bags, Pencil,Cutter etc.were distributed among children there.A competition was held among children, each winning student was awarded five hundred rupees.During Traveling photo had been taken. Photo was provided to each and every student. In addition to above things, during L.R.P. on 05-04-11 Copy,Pencil, Cutter etc. were distributed among 85 student of Utkramit Ranka Middle School. Under Kuchai P.S Blanket Sarees, Dhoti, Muffler, Solar Lamp Carpet, Torch-Battery, Dholak, Jhal, Kartal etc. were distributed on dated 09-03-11, 12-03-11, 14-03-11, 21-03-11 & 25-03-11 in Village Dodo, Bandulor, Kobadih, Kutuhatu-Birbal Colony and Jorasarjom, Hatnabera, Dango, Gomiyadih, Paralbadi & Pondakata, Utrango & Kaderango repectively. 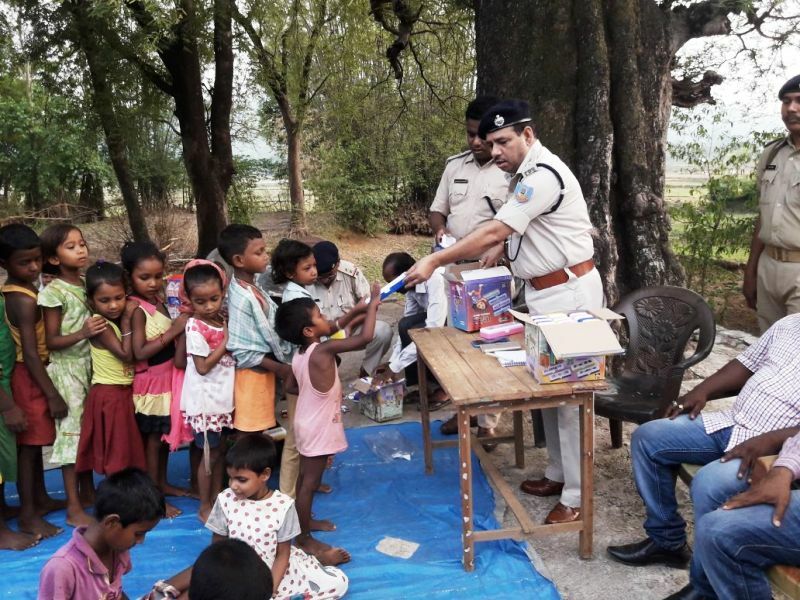 In addition to above thing on dated 18-03-11 School Bag & Stationery were distributed among childrend of Utkramit Middle School Jenalong & Primary School Gutuhatu. 1 Saraikela kharsawan Joseph Purti S/O Basu Purti, Vill- Mahadeobera, P.S.- Chowka, District- Seraikela CPI (Maoist) Member 12-08-2012 Ex-Gratia – Rs. 50,000/- Total Rs.-50,000/- 1- Vocational training. 2- Land allotment for house bldg. 3- House rent. 4- Tution fee. 5- Govt. job. 6- 1st & 2nd installment of Rehabilitation. 4 Saraikela kharsawan Joseph Purti S/O Basu Purti, Vill- Mahadeobera, P.S.- Chowka, District- Seraikela CPI (Maoist) Member 12-08-2012 Ex-Gratia – Rs. 50,000/- Total Rs.-50,000/- 1- Vocational training. 2- Land allotment for house bldg. 3- House rent. 4- Tution fee. 5- Govt. job. 6- 1st & 2nd installment of Rehabilitation.